This vegan sour cream is tangy, thick, and creamy. It’s also cultured so it has all the benefits of fermented foods. It’s perfect on baked potatoes, chili, enchiladas, tacos, or any other Mexican-inspired dish. Fermentation has a truly special and significant place in the world of food development. Sure, you can add lemon juice, apple cider vinegar, or any other flavorings to foods, but they will only get you so far with regards to flavor. The reason is that fermentation produces not only acids, but also other compounds that contribute to the unparalleled fermented flavor. This is why fermented sour cream, be it vegan or not, is mind blowing. Flavor is just one benefit of fermented sour cream though. Health experts often talk about the benefits of eating several servings of fruits and vegetables per day. 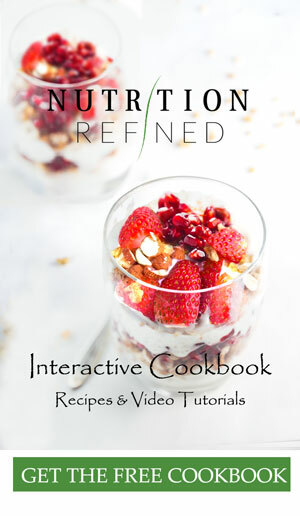 I have found that consuming a few fermented foods every day also makes a huge difference. Fermented foods have the ability to supercharge the immune response, increase nutrient absorption, and normalize the digestive system. So how exactly do you go about culturing nuts? This vegan sour cream starts with hydrated cashews. Not only do cashews create the perfect creamy base, but they are also neutral-tasting and light in color. If you’re not a fan of cashews, you could experiment with other nuts, such as macadamia or blanched almonds. As you probably know, most cashews labeled “raw” are not truly raw. They have been heat processed to remove the nut from its toxic shell. This is actually not a bad thing for this vegan sour cream because raw nuts might contain harmful bacteria and fungi (1). These pathogenic bacteria could grow in large enough numbers to become a health problem before the probiotic bacteria get off to a good start. Generally, raw nuts are not a concern when it comes to regular consumption. However, they might become a health problem at the higher temperatures in which sour cream is cultured. Cashews that have been sterilized (cooked for a few minutes in boiling water) contain fewer bacteria, so the newly introduced bacteria have very little competition and can propagate freely, leading to a more consistently flavored sour cream. (Please note, that it is very rare for raw cashews to become a health concern but something I thought you should know about). What turns bland cashew cream into mind blowing sour cream are the aforementioned bacteria, namely lactic acid bacteria (LAB). LAB are among the most important groups of microorganisms used in food fermentation. They contribute to the taste and texture of fermented products and inhibit food spoilage bacteria by producing growth-inhibiting substances and large amounts of lactic acid. If possible, choose probiotic capsules that offer several strains of Lactobacillus bacteria as well as beneficial Bifidobacterium strains. 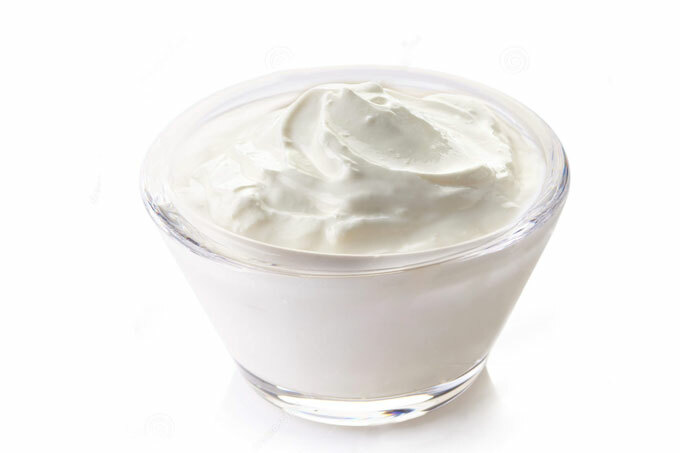 This will create a more complex sour cream flavor than using Lactobacillus acidophilus alone. The last, but very important ingredient, is salt. Salt prevents bad bacteria from growing during the initial stage of fermentation when the oxygen is used up and the newly introduced bacteria begin to reproduce. The correct salt concentration will actually encourage the good bacteria to grow, giving them a competitive edge. However, you don’t want to overdo it with the salt. Too much salt would cripple or kill off the lactic acid bacteria. First things first, you’ll need to sterilize (or at least thoroughly wash) all your equipment. The easiest way to sterilize your blender container, jars, and spoons is to pop it in the dishwasher. The bleach in the dishwasher detergent, coupled with the extra hot water, will kill anything. If you don’t have a dishwasher, soap and hot water will do. To get a smooth cashew cream, use a high-speed blender. I have a Vitamix blender and it does the job every single time. Spoon the cashew cream into a sterilized jar, add the probiotic, salt, and stir with a wooden spoon. (Try to avoid metal utensils as metal can react with cultured food). You might be wondering if you can add the probiotic powder into the blender with the cashews. I would advise you not to. First of all, the friction of the blender produces heat. If you’re blending your cashews long enough, the temperature will easily exceed 110°F (43°C) and kill your probiotics. Second, the blades of the blender are metal, which, again, can react with cultured food. Lactic acid bacteria are facultative anaerobes. This means that they have the ability to survive in the presence of oxygen but grow more efficiently in an environment without oxygen. The benefit of an anaerobic environment is that there is no hydrogen peroxide, which limits the growth of lactic acid bacteria. In the absence of oxygen, no hydrogen peroxide forms, leading to a quicker reproduction of LAB. So, if you want your sour cream to ferment quicker, use an airtight lid. I have found that the best place for fermentation in my house is the oven. I like my sour cream quite tangy, so I usually leave the sour cream in the oven for about 36 hours. You can also turn the light in the oven on. This will speed up the culturing process to about 24 hours. Please, keep in mind that the culturing time varies depending on the time of year and the temperature in the house. The warmer the culturing environment, the shorter the culturing time. After about 36 hours (if your sour cream is in the oven without the light on), the sour cream will have thickened a bit and it will have tiny air bubbles where the probiotics have been breaking down the sugar in the cashews. At this point, taste the sour cream with a sterilized wooden spoon. (Feel free to keep tasting the sour cream after about 24 hours to make sure it’s not too tangy for your taste). If the sour cream is still too sweet and cashew-y, put the lid back on and stick the jar back in the oven. It needs more culturing time. When it tastes tangy and the flavor of cashews is very mellow, it’s ready. Before you proceed with the recipe, sterilize all your kitchen equipment. I like to use a dishwasher, but regular soap and hot water work just fine. Add soaked (or boiled) cashews into a high-speed blender. Start the blender and add water slowly, until the cashews are blending smoothly and turning into a thick cream. Depending on how hydrated your cashews are, you might need a little more or little less water than 1 cup. Transfer the cashew cream into a glass bowl. Add the probiotic capsule and stir with a wooden spoon (avoid using metal utensils as metal can react with the probiotics). Add the salt and stir again. Cover the bowl with a piece of cheesecloth (or an airtight lid for a quicker culturing). Place the sour cream in oven for about 24-48 hours. (The culturing time will depend on many factors, such as the temperature in the oven, the temperature in the house, if you're using an airtight lid, how tangy you like your sour cream, etc). Stir the sour cream after 24 hours and taste. If it's not tangy enough, cover it, and put it back in the oven. I usually leave my sour cream in the oven for about 36 hours at 80°F (27°C). If the sour cream isn't tangy/sour enough for your taste, add some lemon juice. Transfer the sour cream into a glass jar with an airtight lid. Put it in the refrigerator for 6 hours to chill. The sour cream will continue to thicken in the refrigerator. You can always add a splash of water and give it a stir for a thinner consistency. 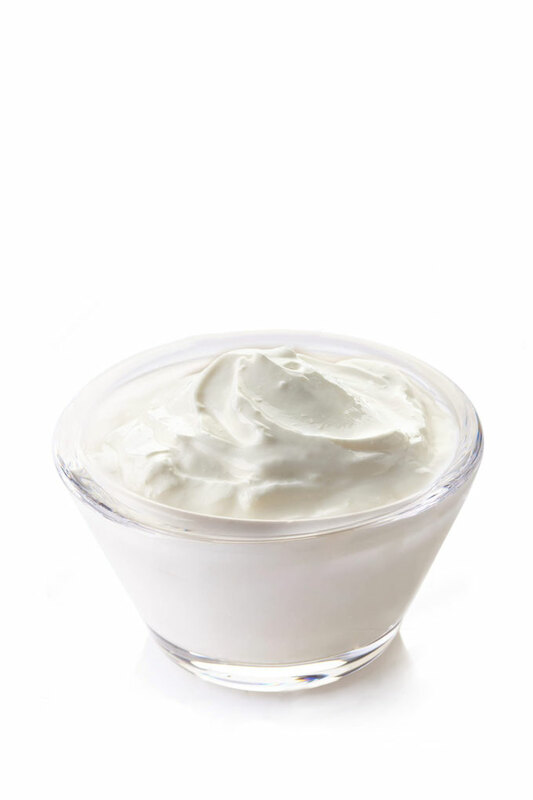 Store leftover sour cream in an airtight container in the refrigerator for up to 5 days. *Soak the cashews in water for at least 8 hours (or overnight) so they soften up and are easy to blend. When the cashews are done soaking, drain the water and rinse the cashews thoroughly. If you're using truly raw cashews, you might want to boil them for 1-2 minutes to kill any pathogenic bacteria. **If possible, choose probiotic capsules that offer several strains of Lactobacillus bacteria, as well as beneficial Streptococcus thermophilus and Bifidobacterium strains. This will create a more complex sour cream flavor than using Lactobacillus acidophilus alone. ***You can add lemon juice for more sour flavor. ****Prep time does not include soaking the cashews (8 hours). Hi Diana – yes, you can freeze the sour cream. This is Chiara! First off I wanted to say thanks for all the tips and recipes you show as well as so much information that help us avoid mistakes when trying out new recipes! 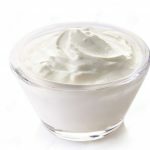 As amazing as this cultured sour cream sounds, I wanted to ask you if there is any chance that you could develop and share with us a recipe for vegan cultured yogurt (raw if possible) that doesn’t use coconut milk, but instead oat or almond milk!! And if you could also share what kind of vegan probiotics you use and where to find them! I would really appreciate it if you could consider giving it a try !!! Do you think you could come up with a nice Zuccini Bread recipe? If you havnt already? Thanks for your generous sharing By the way I am surprised you do not use Nutritional Yeast in the Sour Cream recipe to give extra flavour How do you feel about this? While I find the recipe interesting, there are two factors that impede me. 1) Who has the freedom to use an oven, uninterrupted for 24 to 48 hours straight? 2) What oven can be set to 80 degrees F? No oven I have ever seen will go that low.